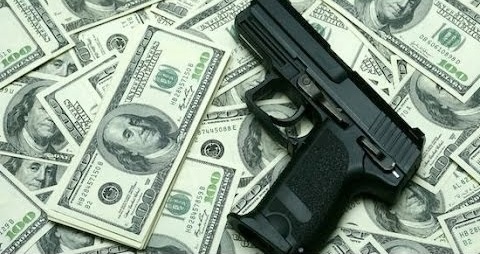 You may not personally own a gun, but your investment portfolio might. Unless your investment advisor is like us, and uses some sort of screening criteria in their stock selection process with Socially Responsible Investing (SRI) screens or takes into account Environmental, Social or Governance (ESG) factors when creating your investment portfolio the odds are you may own stock of gun manufactures in your 401(k), IRA or personal investment account. If you own an “Index” fund you probably own firearm manufactures in your mutual fund because this type of fund typically has to own stock in every company in that index and there is no “screening” criteria to it. 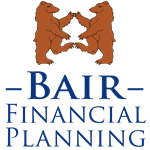 As a Wealth Manager and Investment Advisor we feel it is our role to not only know our clients finances inside and out, but just as important their values. When constructing their portfolio, we then help them match their investments with those values so they can feel good about what they own. In response to the recent tragedy of the school shooting in Parkland Florida and increased conversations with clients regarding whether they own guns in their investment portfolio or not, I wanted to share some education and comments from some of our investment partners. SRI/ESG Investing has been active for over 30 years in advocating for corporations to be more socially conscious. Calvert is another leader in the SRI/ESG investing space and as John Streur, President and CEO of Calvert Research and Management states as the role of the corporation in society continues to expand, businesses can and do play an increasingly large role in influencing societal outcomes. Companies have taken positions on important social issues and used their power to influence other political decisions that only loosely connect to their corporate finances. Today, there is a need and opportunity for corporations to step up and help solve the American gun violence problem. The students of the Parkland shooting survivors are being vocal and leading the march to help protect students everywhere, but now it’s our turn as adults and responsible business owners to be part of the dialogue and solution for a safer community for all of us. The return on Social Responsible Investments may be lower than if the adviser made decisions based solely on investment considerations. WCG Wealth Advisors, Bair Financial Planning and LPL Financial are not affiliated with Trillium Asset Management nor Calvert Research.